Enter the language code for each language (screenshot). This will load the date picker per language. If the above does not work please try to increase MaxInputVars to 10000 or more. 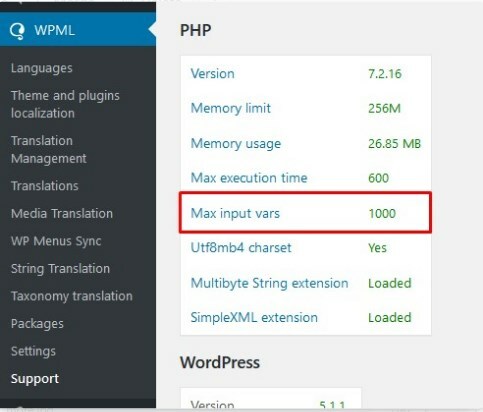 use the WPML XML method, by adding the below XML code, in WPML >> Settings >> Custom XML Configuration section.